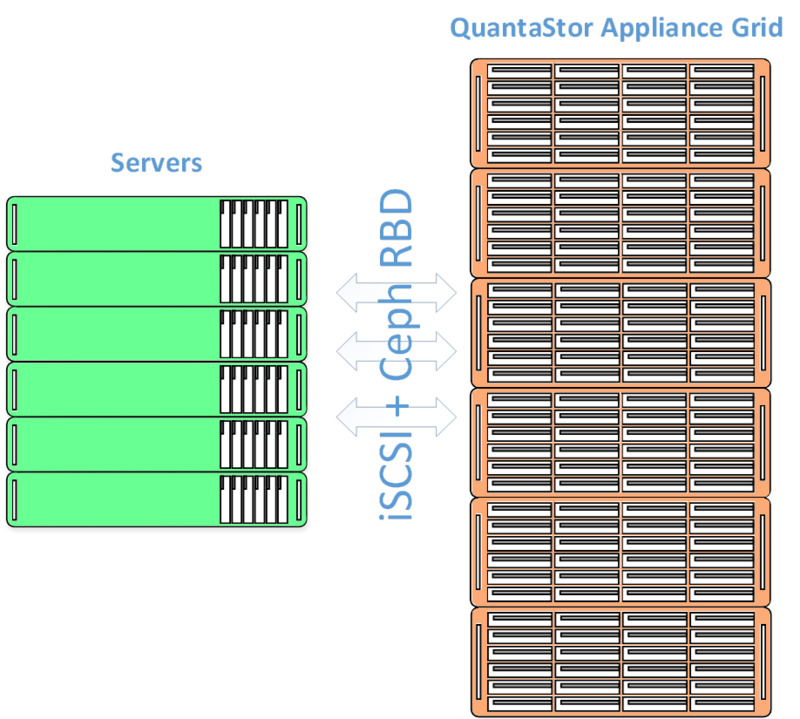 QuantaStor's Scale-out Block Storage was designed specifically to simplify the deployment and management of high-performance storage for OpenStack. Using Ceph-based storage pools with hardware RAID to accelerate performance via NV-RAM and SSD read/write cache layers. QuantaStor provides the fastest, most reliable, and easiest to manage Ceph storage solution for OpenStack cloud deployments. Protocol Support Supports active/active iSCSI & native Ceph RBD interface. Typical Applications Video surveillance; media, cloud service providers, SaaS, telecommunications, healthcare, aerospace, manufacturing, and government. Use Cases File-based workflows which have high aggregate performance. Management “Single pane of glass” for management of all clusters across the QuantaStor grid. Scalability Each cluster scales to 64PB and 64 nodes.